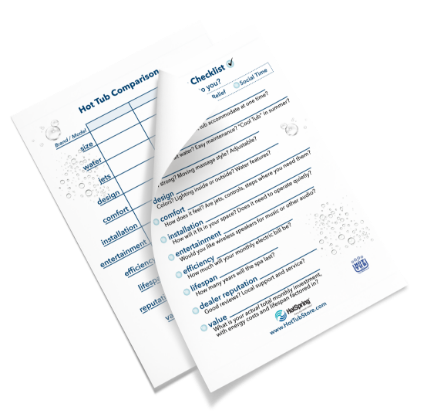 Download a FREE Hot Tub Buyer’s Checklist! Choosing the right hot tub for you and your family can be overwhelming and confusing with the various products, brands, options and features that are available to you. Our goal is to take the stress out of buying a hot tub. We are hopeful that this information will help you during your search.